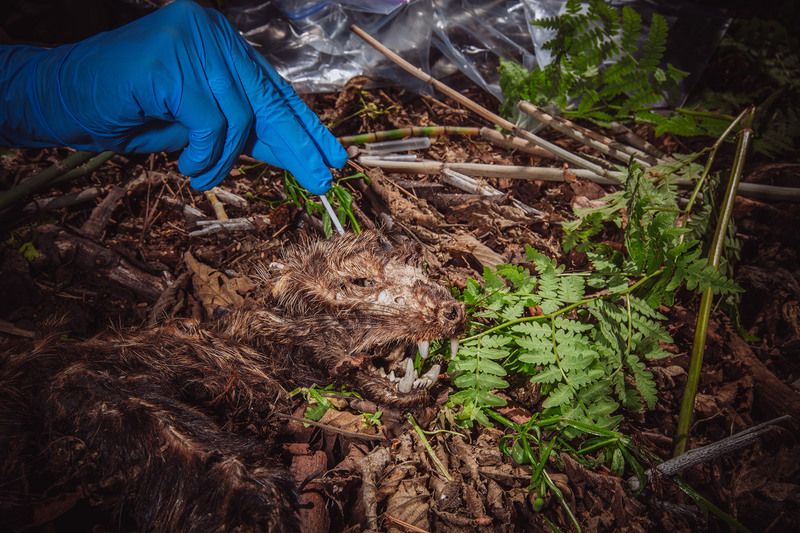 A biologist with the U.S. Forest Service swabs the skull of a dead Pacific fisher found in High Sierra National Forest. She suspects the fisher died from a predation event, but swabs sent to a lab can be tested for both saliva and rodenticide exposure. Rodenticides are now found in 100 percent of fishers tested, and can be a contributing factor to deaths from other causes.